The Industrial Internet of Things is the use of IoT technologies in manufacturing. IoT can be defined as “a group of infrastructures and interconnecting connected objects that allow their management, data mining and the access to data they generate” where connected objects are “sensor(s) and/or actuator(s) carrying out a specific function that are able to communicate with other equipment”. Regardless of all the terminology and definitions, the manufacturing industry is actively seeking new technology opportunities to improve Overall Equipment Efficiency (OEE) and drive bottom line business results. According to a leading Automation hardware equipment manufacturer “72% of manufacturers report that application of IIoT technologies to operations increased productivity in the past year, and 69% report that it increased profitability”. Many manufacturers are over spending on cost of quality, plant maintenance, etc. plainly because they don’t know where to start. Peter F Drucker once said, “if you can’t measure it, you can’t improve it”. Collecting the vast amount of data that is connected to manufacturing equipment provides one such opportunity for improvement. This data holds the key to achieving maximum business value. Yet, despite unprecedented access to this wealth of information, only 3% of U.S. manufacturers are fully utilizing it and other operational data. In parallel, at Syntelli Solutions we ensure cross-functional collaboration between IT, trusted partners, enterprise-wide organizations, and the people who work with the equipment every day – such as plant engineers, technicians, and operations managers. Getting everyone on the same page helps ensure that the right data sources are available and paired with the right skill sets to extract maximum value from the available information. Utilizing prescient examination for quality enhancement and improving request anticipation has been a staple of assembling associations for a considerable length of time. However, it would now be able to assume a vital job in enhancing a more extensive scope of business measurements like machine uptime and life span, by anticipating breakdowns or disappointments before they happen. Making more extensive utilization of significant machine information, the IIoT framework can dissect present and past datasets to make a condition-based support program that suggests benefit dependent on each machine’s real use and operational condition. Common support plans depend on institutionalized interims – for example, units made, hours worked, or passed time. A customary way of thinking holds that specific machines simply perform superior to other people. Be that as it may, with ongoing hardware improvement, this doesn’t need to be the situation. Numerous elements add to fluctuations in effectiveness, yield quality, or yield from natural conditions to a specific machine’s plant design. Sensor information gives pieces of information about each machine’s execution, yet modern examination is expected to investigate it rapidly and precisely enough to distinguish hardware wasteful aspects, survey varieties underway limit, and change in accordance with accomplishing ideal operational execution progressively. In the present industry 4.0, due to rapid changes in the dimensions of the quality, traditional methods are not going to help manufacturers in the US to stay ahead of competition from developing economies, places with liberal labor laws, and low pay rates. Incorporating IIoT, AI and machine learning technologies into manufacturing is quickly becoming the new norm. Raj is a continuous improvement engineer. He spent over 4 years working as a Process Improvement Analyst where he quickly realized how essential it is to integrate data science, artificial intelligence and machine learning technologies with process improvement activities for the organization’s overall performance improvement and cost reduction. Raj earned his graduate degree in Industrial Management from Texas A&M University-Kingsville with a Process Improvement specialization. He also comes with both academic and professional credentials in Six Sigma, Lean, and Project Management. 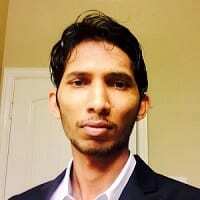 Raj works towards automating process improvement activities, and is interested in implementing lean six sigma, industrial IoT, photo recognition, strategy development, and change management. He frequently opens his pen for technology journals, magazines, and blogs.